Six years after they met in an Internet chat room, Linda Jones and Steve Retterer woke up in the same Vanderbilt Adult Hospital room. “I think it’s daylight,” Jones said, as the anesthesia began to wear off. “I think you’re right,” Retterer answered, groggily. The romance they unknowingly began in 2005 when they were newly diagnosed with Parkinson’s disease and looking for online support had come full circle in 2011 when the pair underwent deep brain stimulation (DBS) surgery—a procedure that entails implanting electrodes in the brain to continuously stimulate a targeted area to control tremors. In 2005 they were worried about their impending disability, burdened by the stress that would ultimately end their marriages and staring into computer screens looking for hope. The disease they shared had progressed to the point that medicine wasn’t providing relief from the constant twitching, rigidity and other movement problems that are the hallmark symptoms of Parkinson’s. On the morning of their surgery, they held hands and looked forward to better days. By the time Jones and Retterer were wheeled into an operating room on that day in 2011, Vanderbilt University Medical Center (VUMC) doctors were doing about 100 DBS surgeries annually. Last year marked the 20th anniversary of the hospital’s first procedure and this year, VUMC will surpass its 1,000th surgery. The milestones occur as the U.S. Food and Drug Administration (FDA) expands DBS treatment to people with mid-stage Parkinson’s disease and VUMC investigators lead a nationwide clinical trial to determine if the therapy can slow the progression of Parkinson’s in early-stage cases. DBS therapy is FDA-approved for the uncontrollable movements associated with Parkinson’s, essential tremor and dystonia. It is also approved for severe obsessive-compulsive disorder. 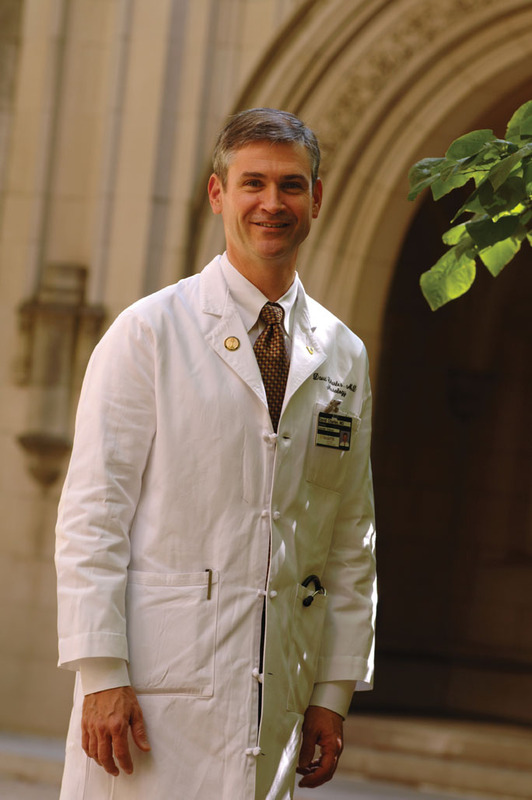 David Charles, M.D., assisted with the first DBS case at VUMC in 1995. The first DBS surgery at VUMC occurred in 1995 as part of the multi-center trial of a Medtronic DBS system that led to the initial FDA approval in 1997 for patients suffering “severe tremors.” David Charles, M.D., chief medical officer of the Vanderbilt Neuroscience Institute, was 34 at the time. The young neurologist had just completed a fellowship in movement disorders two years earlier and had led the clinical trial at VUMC. He applied for and was awarded a Fulbright Senior Scholar grant to travel to France and work for a year with Alim-Louis Benabid, M.D., Ph.D., and Pierre Pollak, M.D., at the Universitaire de Grenoble in 1998. 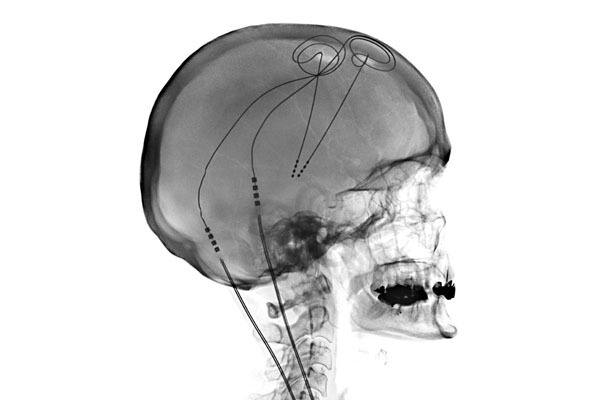 Benabid and Pollak had discovered the effect of high-frequency stimulation on a patient’s tremor during an ablative brain surgery while using an electrode to identify the target area. Toward the end of that training period, Konrad—who had just completed his neurosurgery residency at VUMC—traveled to France to learn about DBS alongside Charles. Benabid, a researcher Charles describes as a creative genius, continues to be collaborator as VUMC has evolved into one of the top DBS research centers. A comment Benabid once made during that 1998 Fulbright fellowship stuck with Charles. The two physicians were in a hospital locker room, dressing after a surgery when Benabid said, “David, I think this would slow the progression of Parkinson’s disease if we did it very early.” He then mentioned that some of the DBS patients had seemed to stabilize after surgery. He noted, however, that Parkinson’s disease is relentlessly progressive in every case and that this observation should not occur. Initially, the VUMC neurologist didn’t pay the comment much heed, but after watching videos of the French patients filmed periodically over time, he thought Benabid might be right. Proof that DBS actually slows the debilitating progression would be a landmark achievement in the treatment of Parkinson’s disease. Currently, DBS is prescribed to alleviate the symptoms of the disease, giving patients more “on time”— periods when their dopaminergic medication is working without troubling dyskinesias—as opposed to “off time” when they’re struggling with movement problems. Proof of DBS actually slowing the debilitating progression would be a landmark achievement in the treatment of Parkinson’s disease. Charles and colleagues at VUMC decided to launch an early intervention clinical trial. It was a controversial decision because of the surgical risk involved. Stuart Finder, Ph.D., who was a VUMC medical ethicist at the time, was a key leader in the effort to gain FDA approval of the pilot study. He designed the informed consent process. 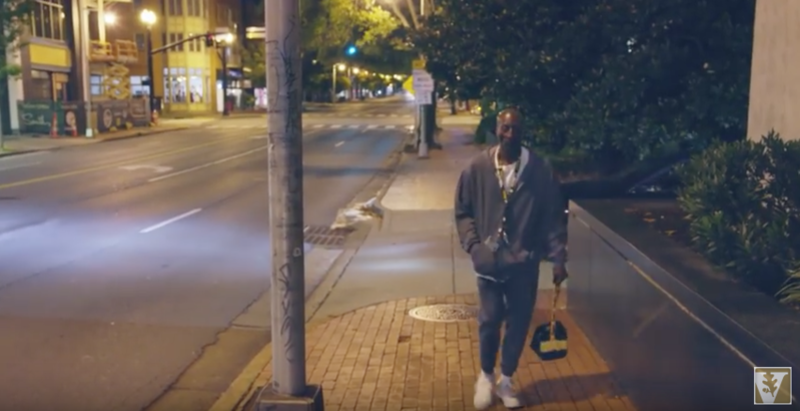 Dale Nevels of Memphis, who had early-stage Parkinson’s disease, was already searching for new therapies that might delay the progression of symptoms. He traveled to Washington, D.C., for a three-day international symposium on Parkinson’s research where he learned about DBS. “I came home and told my wife, ‘we’re going to go for it,’” Nevels said. Shortly afterward, a friend forwarded him an email about the trial Charles was leading. Nevels had his surgery on Feb. 14, 2007. He was one of 37 people recruited for the early intervention study. The VUMC team published the results of the study in 2012, asserting that the research supported the launch of a Phase III multicenter trial of the early intervention. Numerous Parkinson’s disease experts disagreed, citing the risk of an unnecessary surgery and doubting that other medical centers would join the effort. But they did, and a Phase III large-scale safety and efficacy trial, led by Vanderbilt, received FDA approval in 2014. Charles said he understands why medical experts with opposing opinions have raised objections. The 60,000 Americans diagnosed with Parkinson’s each year and the more than 1 million living with the disease are depending upon medical researchers to significantly advance the current standard of care. “When patients are diagnosed with this, there are medicines that will help with the symptoms, but the underlying disease is relentlessly progressive in every case and it leads to terrible disability,” Charles said. 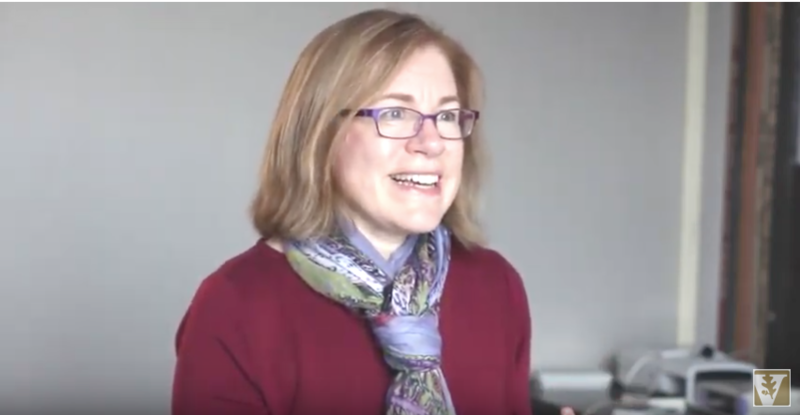 In October 2015, Mallory Hacker, Ph.D., assistant professor of Neurology at Vanderbilt University, and collaborators at Johns Hopkins University, published an updated analysis of the patients enrolled in the early intervention trial. It compared the progression of their symptoms, after having received both DBS and optimal drug therapy, to that of patients who received only the drug therapy. They concluded that DBS in early-stage Parkinson’s disease reduces the risk of clinically significant worsening of motor symptoms and the complications of medical therapy by 50 to 80 percent after two years. Stated another way, the patients treated with standard medical treatment were five times more likely to worsen than those treated with DBS. Since that publication, Hacker discovered another intriguing finding from the pilot study. The other nine people in the DBS group did have worsening that was similar to or less than the group treated with medication alone. Charles noted that this new finding, which will soon be submitted for publication, has energized the research team. With philanthropic support from Phyllis, Tony and Elizabeth Heard, the DBS team at Vanderbilt is currently engaged in research to try to understand why some DBS patients benefited more than others. This could possibly lead to better distinguishing which patients should be offered the surgery as an earlier intervention. Ultimately, each patient makes his or own decision about treatment options, regardless of the stage of disease, said neurologist Fenna Phibbs, M.D., MPH, director of VUMC’s DBS program. 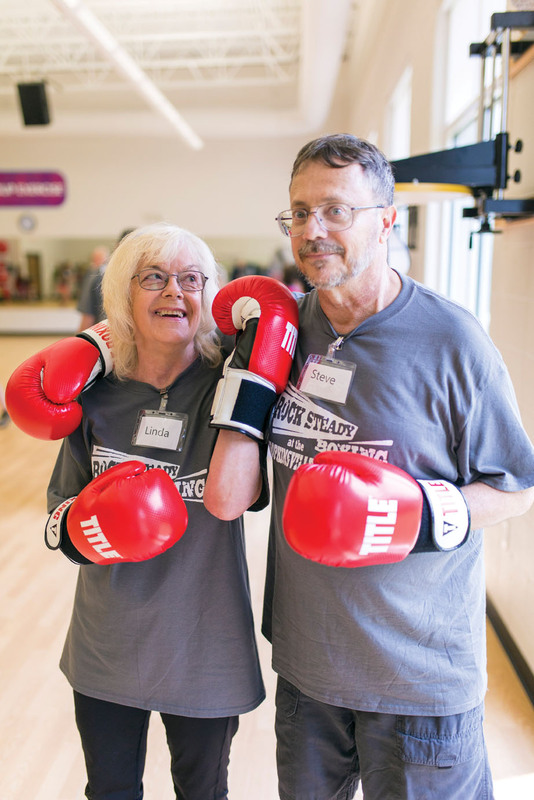 Linda Jones and Steve Retterer fight Parkinson’s disease by taking boxing classes at their local YMCA. Photo by Daniel Dubois. Jones and Retterer opted for DBS therapy after consulting with Phibbs. Jones, a former educator, and Retterer, a former printing press production manager, worked as long as they could after their diagnoses, but they eventually had to retire early. “It was at the point I couldn’t sleep three hours a night because my tremors were so bad,” Retterer said. “He couldn’t sit down and I couldn’t get up,” Jones added. The DBS therapy worked. The couple now has more “on time”— periods when their medication relieves their symptoms before it wears off. Retterer can get a good night’s sleep again, and Jones regained her mobility. When they talk about their journey with Parkinson’s disease, they do it with laughter. 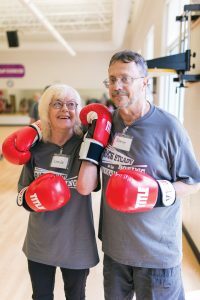 They go to Rock Steady Boxing three times a week for hour-and-a-half sessions at their local YMCA, exercising alongside other people with Parkinson’s.